Salary sacrifice: time to review your arrangements? New rules came into force in April affecting arrangements for taxing salary sacrifice schemes – one of the employment trends of recent years which makes employee remuneration more flexible. Instead of pay and, if you were lucky, a company car and healthcare, ‘cafeteria remuneration’ has become common, giving employees the choice of sacrificing pay for a wide range of benefits, from extra holiday to gym membership and mobile phones. 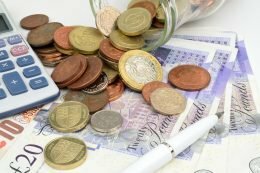 The main loser from salary sacrifice arrangements has been HM Treasury, so it was little surprise when the previous Chancellor, George Osborne, signalled a review in last year’s Budget. This produced a consultative document that has now been transformed into draft legislation. There are some inevitable transitional measures for arrangements that were in place before 6 April, but apart from cars, employer-provided accommodation and school fees funding, the new rules will bite in no more than 12 months’ time. There is also a handful of specific exemptions, one of the most important of which is salary sacrifice arrangements for pension contributions. These continue to provide major benefits. For a personalised illustration of how salary sacrifice could boost your pension contributions, please talk to us. It could make up for the extra tax you will end up paying on other sacrifice arrangements.